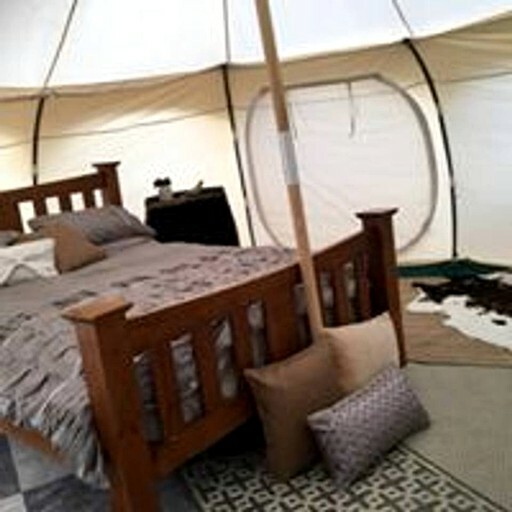 This romantic, spacious bell tent is located in Clare Valley, South Australia, and can accommodate two guests. 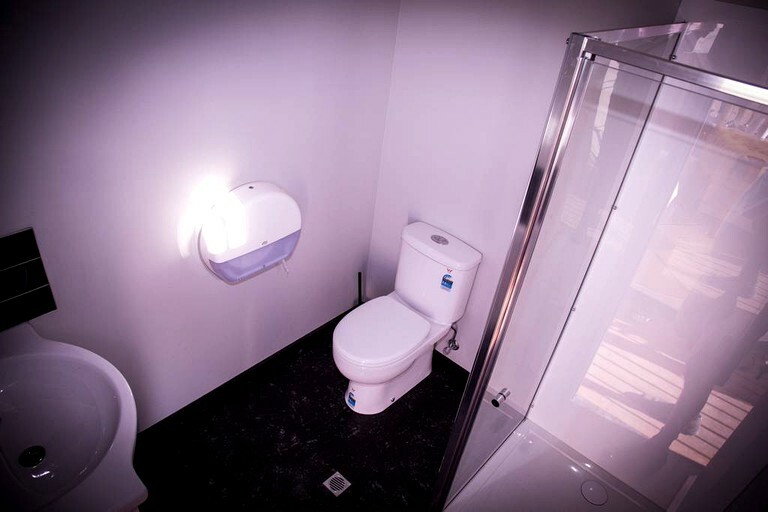 The comfortable space is studio-style and has one full bathroom. There is a queen-size bed, a fridge, a blanket box, rugs, cozy seating, and a private deck. Linens and towels are provided. Spacious tents are offered, which feature a seating area, a fridge, heating/cooling and a private ensuite with linens and towels provided. Each tent has its own deck for guests to enjoy a morning coffee, or sit and enjoy a glass of wine in the evening whilst watching the sunset over the hills. The glamping site features a large outdoor sheltered area that is equipped with a kitchen and TV for use at guests' leisure. Glampers will also have use of the barbecue and fire pit which make great places to cook up a storm surrounded by the serenity of nature. 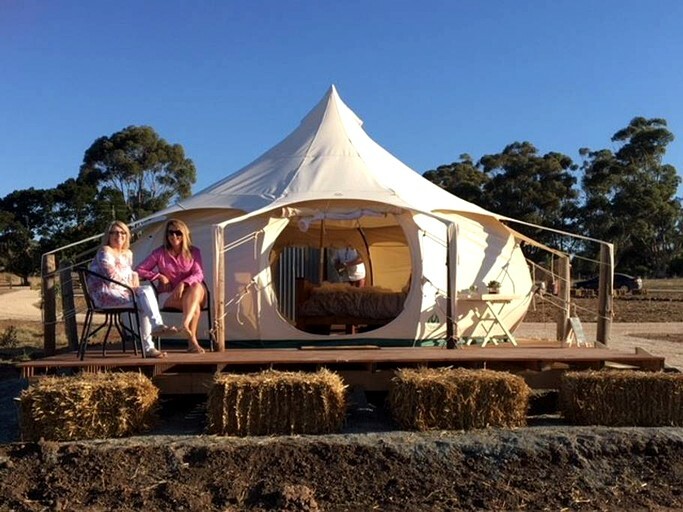 Secluded in the hills of Australia's gorgeous Clare Valley, glampers can spend their days embarking on hikes and strolls through nature. At night, brilliant stars light up the dark skies, making it the perfect spot for stargazing. 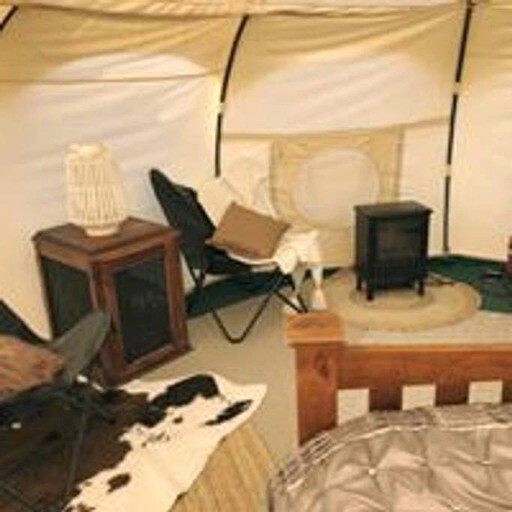 Glampers can also gather around the fire pit, roasting marshmallows and trading stories with fellow travelers. 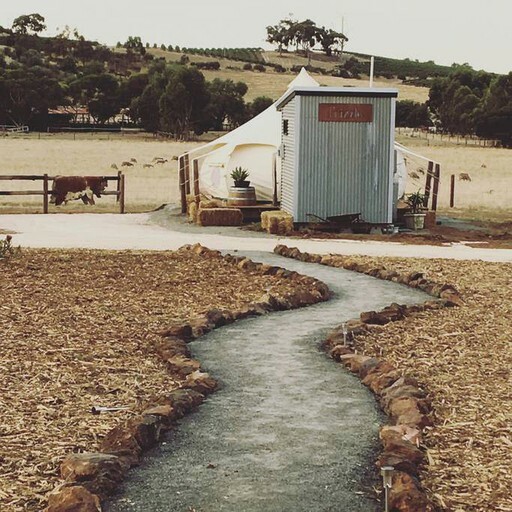 Clare Valley is famed for its five-star wineries where glampers can go tasting and take wine tours. With so many wineries to explore, this is a wine connoisseur's paradise. Glampers can also cycle the popular Riesling Trail, it’s a 32km track, suitable for beginners to medium level fitness, which offers shade, views, and country scenery along the way. From farmhouse restaurants to gourmet pub fare and romantic dining locations, the region offers a delectable range of food offerings. 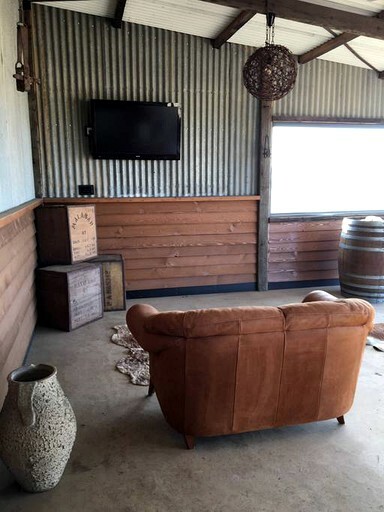 Guests can jump in the car and take the scenic road from Sevenhill to Mintaro. Established in 1849, Mintaro is steeped in history, made famous for its slate from the local quarry. It is also home to the grand Martindale Hall. Guests should give themselves plenty of time to stroll the gardens and surrounds of Martindale Hall, taking in its Georgian exterior and extraordinary Italianate interiors. Glampers might recognize the building from the 1975 film Picnic from Hanging Rock! Mintaro Maze - a living hedge maze consisting of over 800 conifers, fountains, twists, and turns is suitable for children, groups and couples, and the maze is a unique experience guests won’t forget. No trip to the Clare Valley is complete without a visit to the historical town of Burra. Famed for its mining heritage, the township is an echo of the yesteryear. Visitors can stroll the antique shops and heritage buildings, or grab a Burra Heritage Passport and accompany key from the visitor information center and make the way around the 11-kilometer self-guided tour of the town, exploring eight locked buildings and 50 other sites of interest. 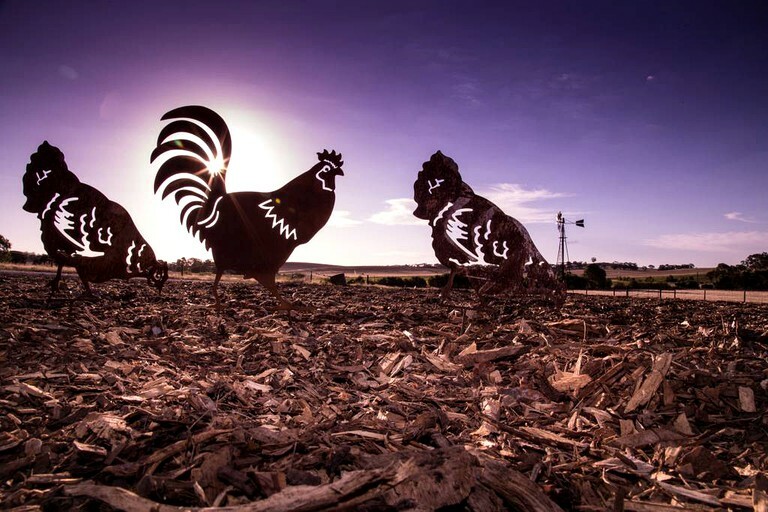 In 1845, migrants flocked to the bustling town of Burra during the mining boom, to try their luck for copper ore. This gave rise to the world’s largest mine - the Burra Monster Mine. Visitors can explore the remnants of this mining community and learn firsthand what it would have been like to live in a thriving mining town in the golden days. Shoes are not allowed in the tents.